Embarrassed by those whiteheads on your nose and chin? These pasty devils are the curse of many of us, especially because they are so inviting to pop. So, firstly, it is useful to know why we get these devils. Our skin is composed of numerous pores that secrete sebum (natural oil produced by the body) and sweat. At times, this sweat and sebum end up clogging the pores. Plus, dead skin cells add fuel to the fire, and you end up getting either a blackhead or a whitehead. We all know that blackheads are black in color, while whiteheads are white or yellow in color. But there’s more to it than just that. The manner in which they develop leads to the different colors and also impacts how best to treat them. When a clogged pore is exposed to air and the gunk inside gets oxidized, a blackhead is born. However, if there is still a little layer of skin over the clogged pore, it fills up with pus and bacteria and becomes a whitehead. Whiteheads are actually a form of acne. Also known as ‘closed comedones’, whiteheads are a typical form of acne that appear as small bumps on the nose and chin. Both whiteheads and blackheads may affect your appearance, which is why most people search tirelessly for treatments to get rid of them. Although whiteheads frequently reappear, there are ways to get rid of them easily and quickly. Steaming is one of the most effective ways to remove whiteheads on your nose and chin. Steam will open up your clogged pores, allowing the dirt, impurities, bacteria, dead skin and sebum to escape. Therefore, steam is effective in removing blackheads too. Put 3 cups of boiling water in a large bowl to steam your face. In case you have a steamer at home, 1 cup of water would suffice. Place your face over the steam for about 10 minutes. Press your skin gently with a sterilized cotton swab to loosen the pores and release the clogged oil. Wash your face using a mild facial cleanser to close the pores again. 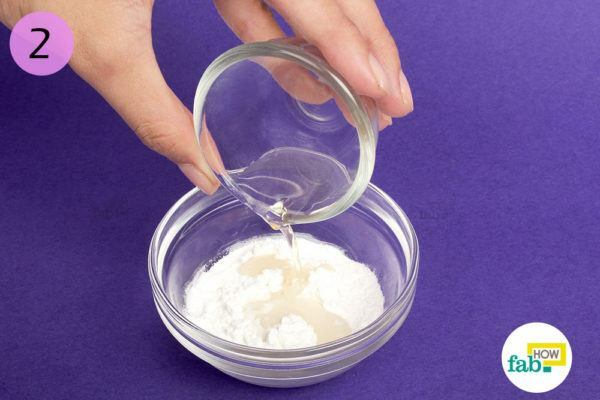 Put 1 tablespoon of baking soda in a bowl. 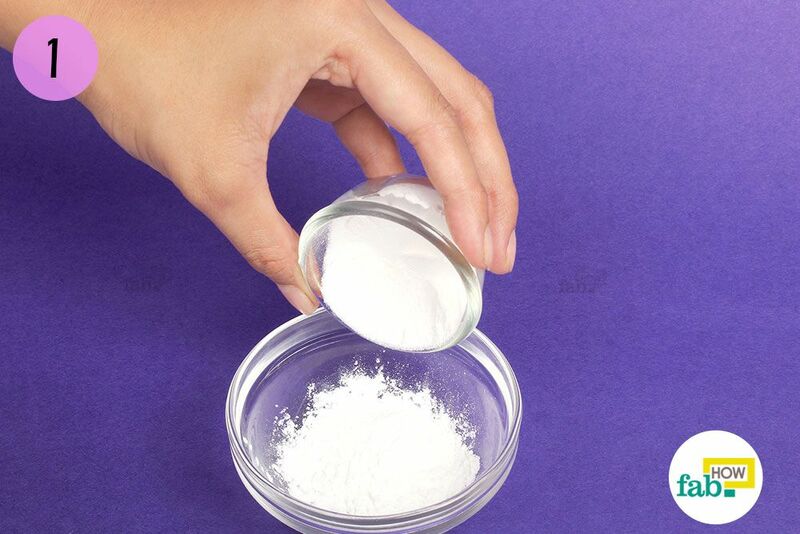 The mild abrasive property of baking soda helps clean the skin and get rid of impurities. It seeps in through the clogged pores to eliminate dead skin cells, oil and dirt. 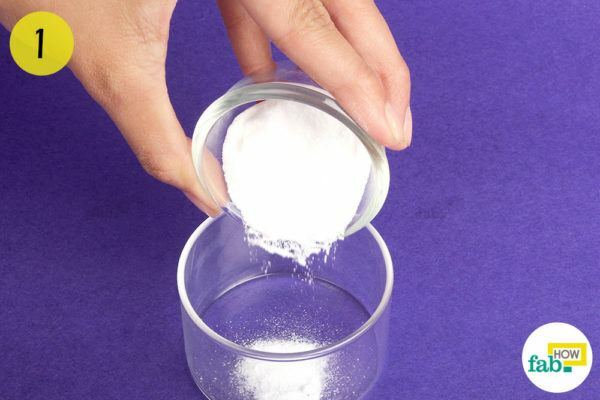 Also, it helps in maintaining the pH balance of the skin. 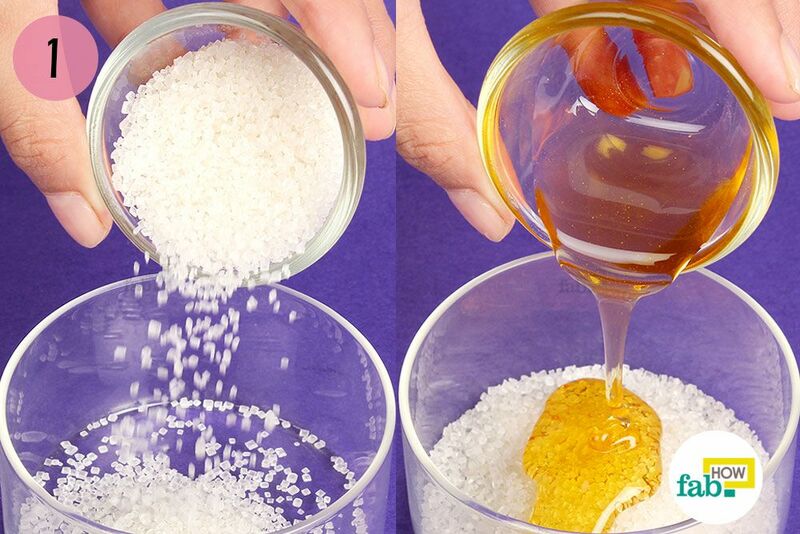 Add 2 teaspoons of honey and 1 teaspoon of lemon juice to the bowl. 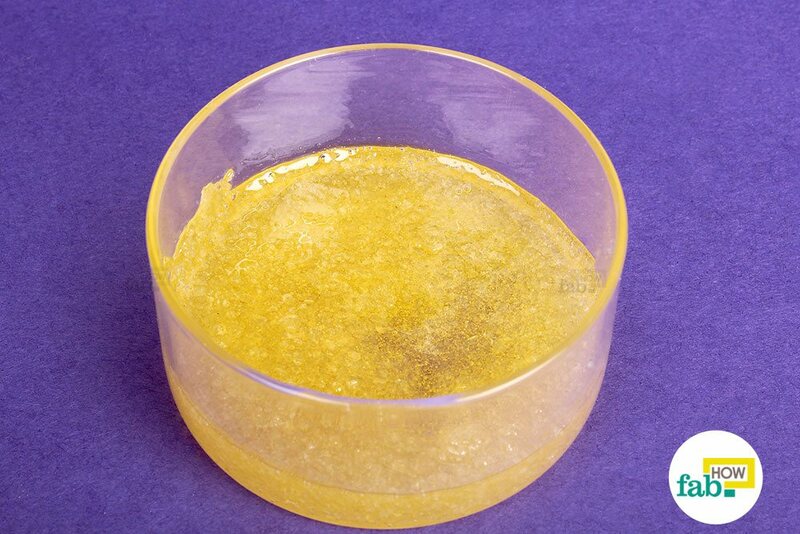 Honey is a natural antibiotic and pulls dirt out of the skin pores to help clear whiteheads. It acts a natural peeler for the skin to eliminate whiteheads. 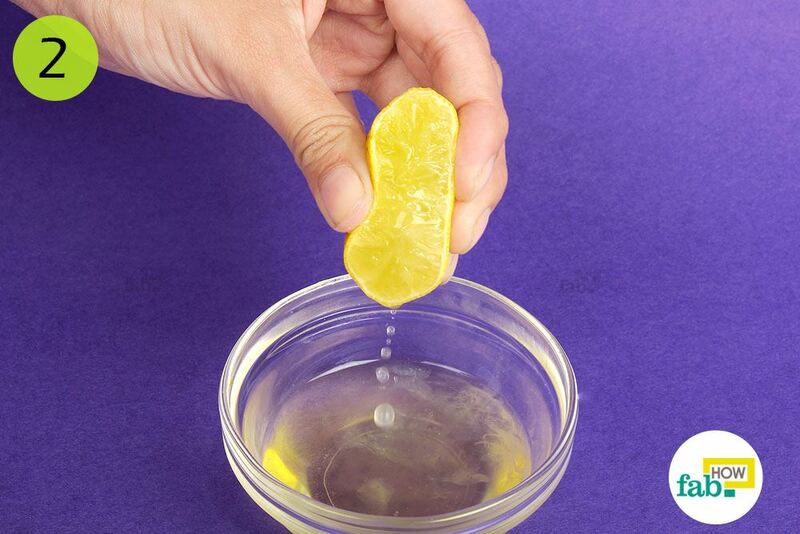 The natural acids in lemons penetrate the buildup on the skin and help cleanse and tone it by removing impurities, leaving the skin less prone to breakouts. The antioxidants, antiseptic and antibacterial properties of lemons and honey together work to remove whiteheads by destroying impurities that have clogged the pores. Apply this mixture on the whiteheads and massage for 5 minutes. Repeat this every other day for 2 weeks to get rid of whiteheads easily. 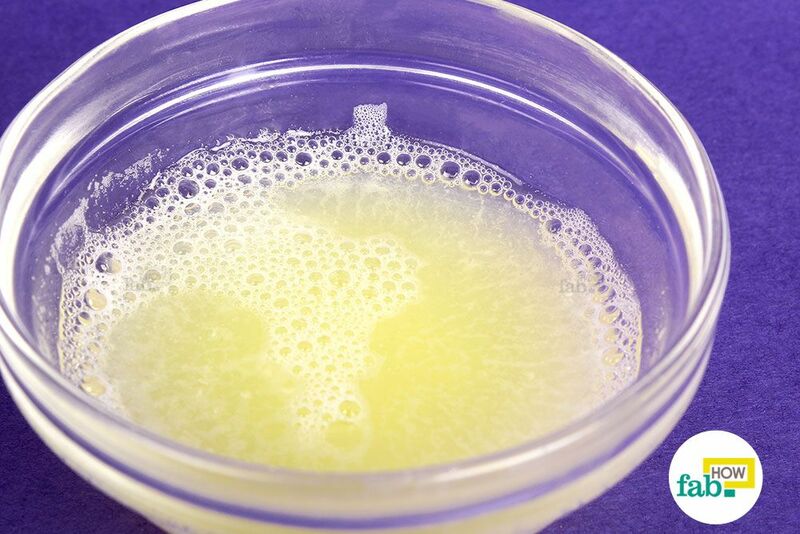 Break an egg over a bowl and allow just the egg white to drain into the bowl. 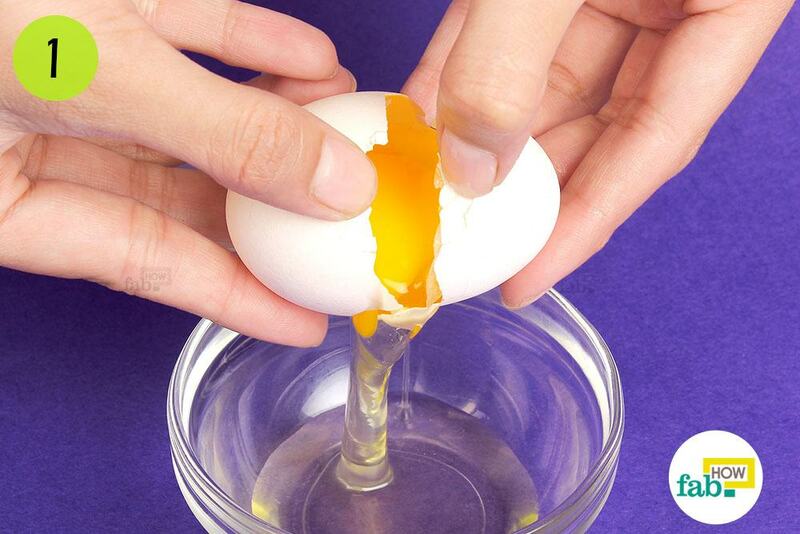 Egg whites help tighten and lift the skin, making your pores smaller. It also helps clear up old breakouts. 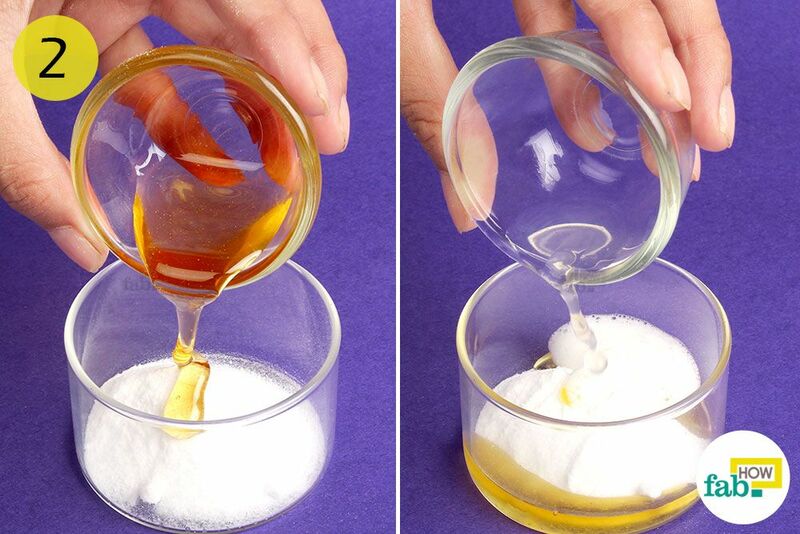 Mix the egg white and lemon juice well to form a smooth consistency. Apply the mask on your clean face with a brush. Let it sit for 20 to 25 minutes. If you have enough, you may apply two layers of it on the skin. 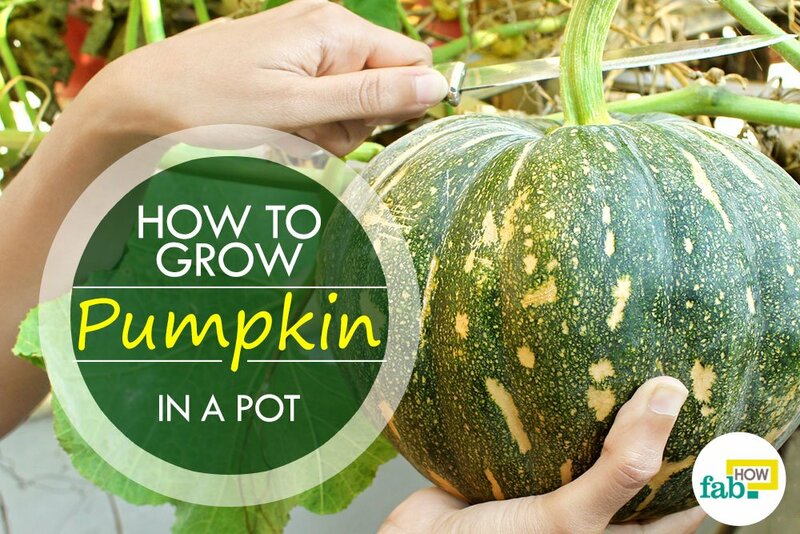 Once dry, peel it off slowly using your fingers. Lemon juice is a powerful antioxidant that helps in eliminating bacteria and oil, clearing away whiteheads, tightening pores and even lightening sunburn spots. Avoid contact with the eyes and eyelids. If the mask gets into your eye, immediately rinse it off using lukewarm water. Do not use this mask if you have already used a mask the same day. 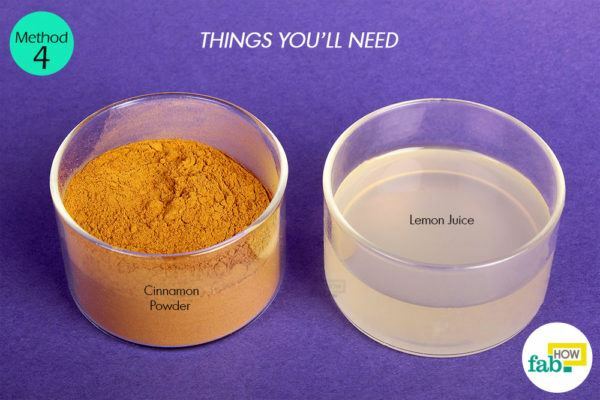 Put 2 tablespoons each of cinnamon powder and lemon juice in a bowl. Lemons contain citric acid that helps open the pores and dry out the excess oil, thus clearing away whiteheads. It also helps tighten the skin to further prevent open pores and clogging. Cinnamon is a powerful ingredient that removes excess sebum on the skin’s surface to clear blackheads. 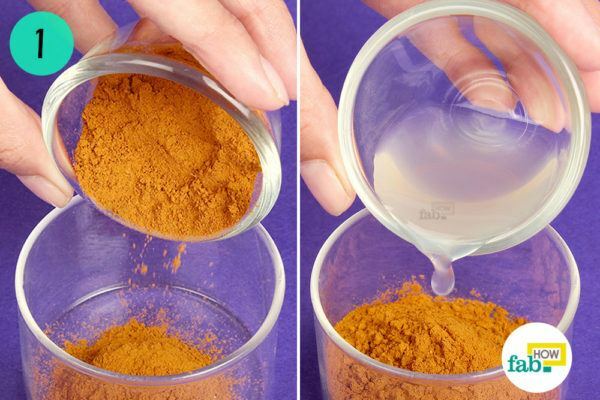 Apply this paste evenly on your face before going to bed and leave it on overnight. Rinse it off in the morning using lukewarm water. 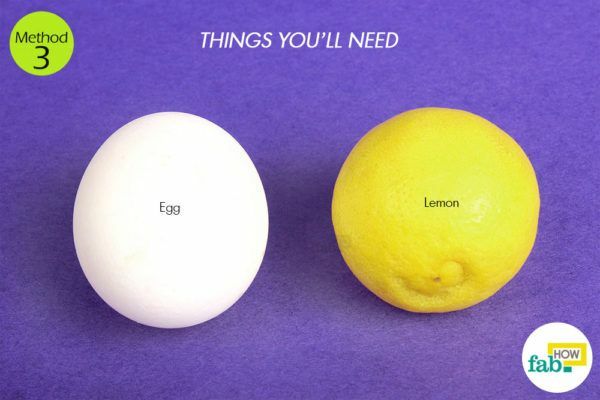 Repeat this treatment every other day, as lemon contains acids that dry out the skin. This may cause irritation or a burning sensation. Put 2 tablespoons of powered oatmeal in a bowl. 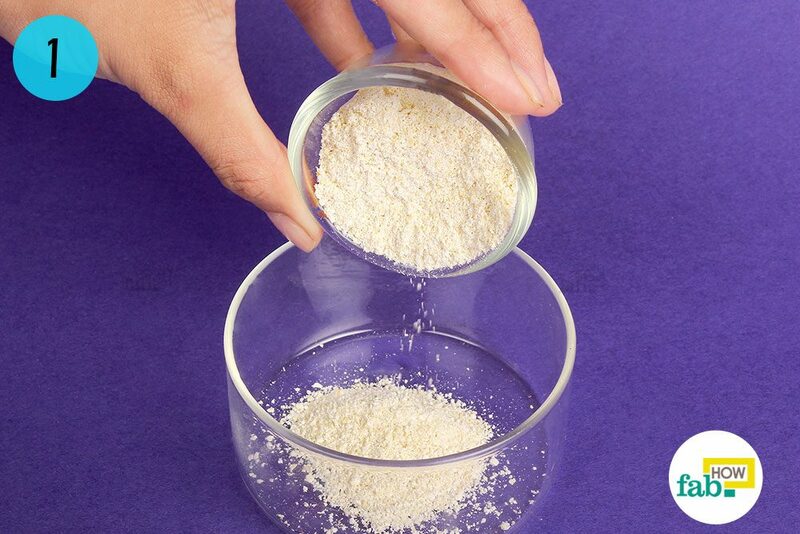 Oatmeal acts as a gentle exfoliator to remove dirt, impurities and dead skin cells from the skin. 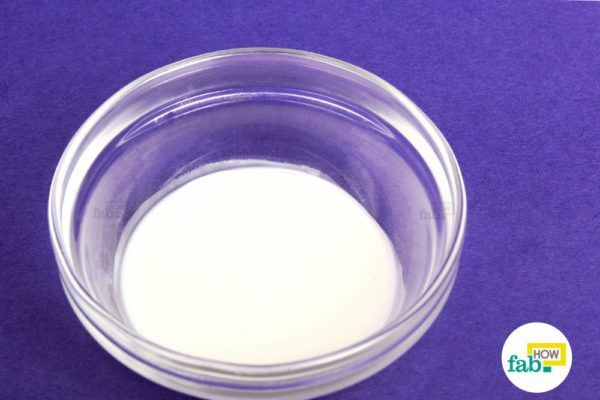 It soaks up excess oil and sebum completely from the skin, thus removing whiteheads. Also, it supplies the skin with essential nutrients that help maintain the proper health of your skin. 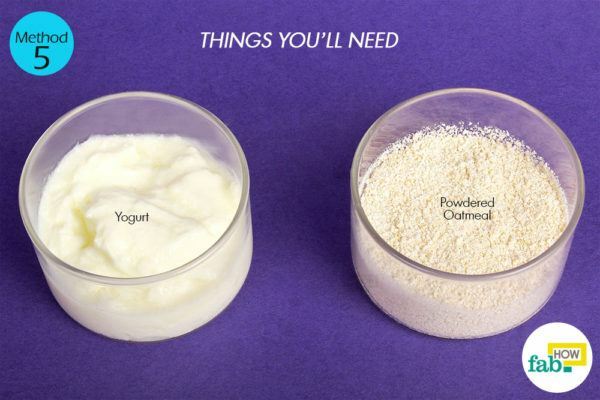 Add 1 tablespoon of plain yogurt to the bowl. Yogurt seeps in through the clogged pores to extract out the dirt and impurities. The antifungal, antibacterial and cleansing properties of yogurt make it an effective choice for removing whiteheads. Apply it evenly on your facial skin. Scrub gently for 5 to 10 minutes and let the mixture sit for another 15 minutes. Rinse it off using cold water to close the pores. Repeat this twice a week for effective results. 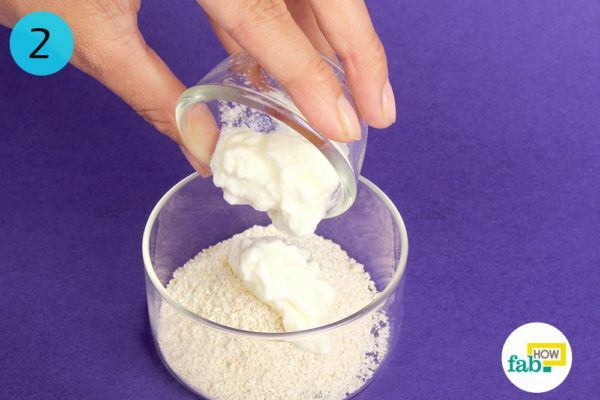 Put 1 tablespoon of corn starch in a bowl. 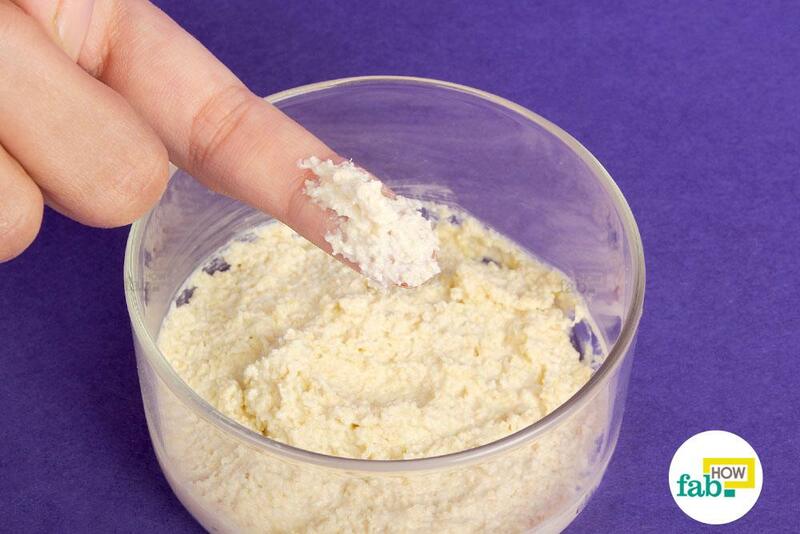 Corn starch helps absorb any excess oil from the pores that has a drying effect on the skin. 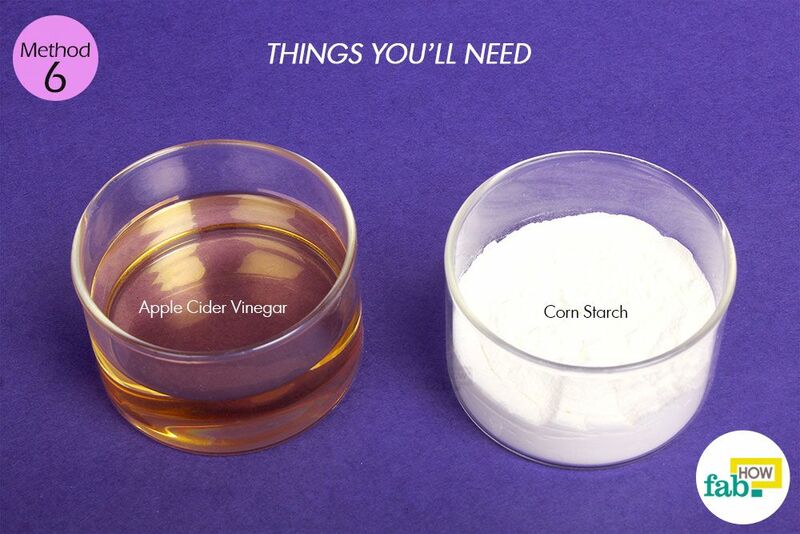 Add 1 teaspoon of apple cider vinegar (ACV) to the bowl. ACV has antiseptic and antibacterial properties that help remove impurities and whiteheads from the skin. Cornstarch helps dry up the skin, which allows the properties of ACV to seep in through the skin, thus clearing away the whiteheads. 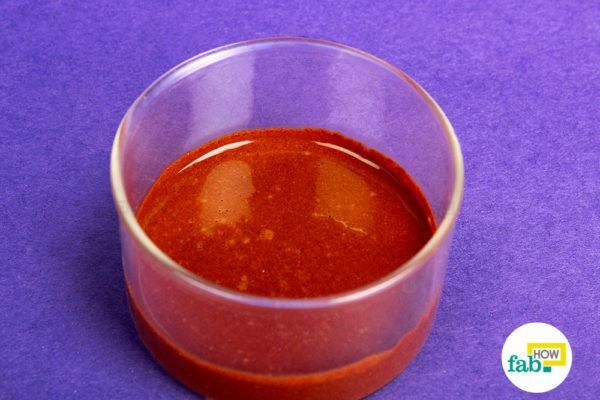 ACV is acidic in nature and may cause a burning sensation or irritation on the skin. So, it is best to use it cautiously, only on the whiteheads and avoiding the unaffected areas. Apply it on the whiteheads and let it sit for about 20 to 30 minutes. Rinse it off using warm water and wipe your face with a clean cloth. 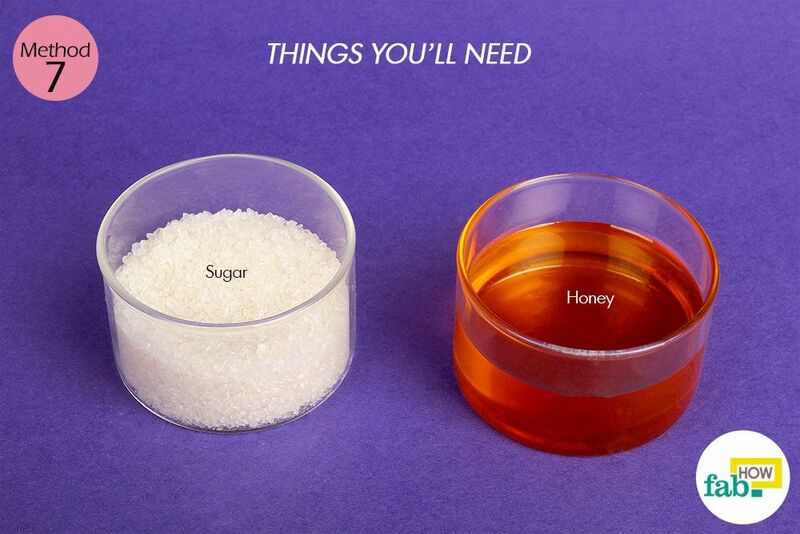 Put 2 tablespoons of sugar and 1 tablespoon of honey in a bowl. Sugar is an excellent exfoliate and helps remove trapped dirt, germs, impurities and dead skin cells lying underneath the skin. 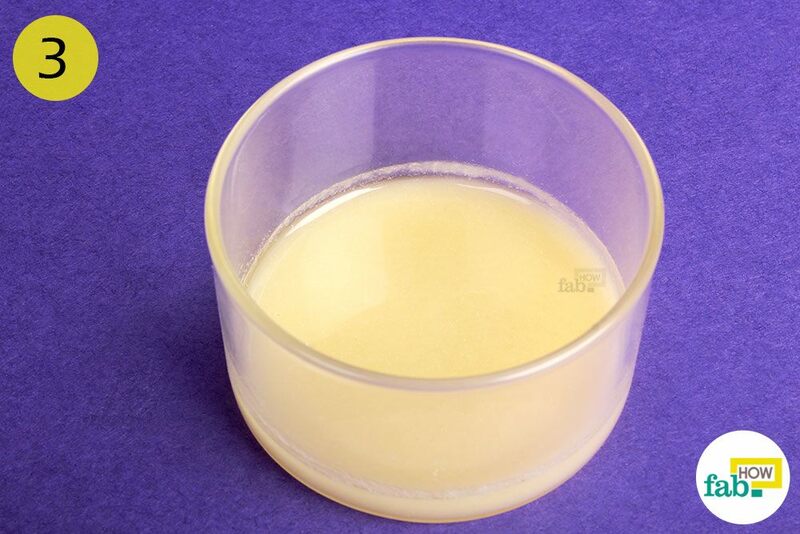 Honey acts as a natural antibiotic to extract dirt and germs from the clogged skin pores. Mix the ingredients together to form a thick paste. Apply this gently over your face and massage in circular motions for 5 to 20 minutes. Let it sit for another 10 minutes. Rinse off the residue using cold water. Follow this once a week for softer and smoother skin, free of whiteheads. Tweak your makeup habits and avoid heavy makeup at all costs. Certain cosmetics and makeup products can promote acne. So make sure you check the “non-comedogenic” or “oil-free” label before buying a cosmetic product. Always remove your makeup before going to sleep. Sleeping with makeup on will clog your pores in the night, thus giving rise to blackheads and whiteheads. Make it a habit to wash your face 2 or 3 times a day with a mild cleanser. Avoid picking or popping whiteheads, as this can further inflame the skin and make the problem worse. 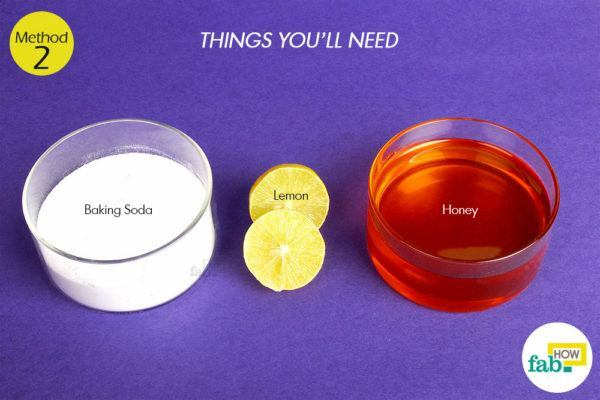 Everyone’s skin type is different, so your skin might react differently to these remedies. It is best to do a patch test on your skin before using the treatment all over your face. If you do not suffer any side effects like dryness, irritation or a burning sensation, proceed with the treatment. In case of trouble, consult your dermatologist. If you wish to opt for over-the-counter products to remove whiteheads, it is best to choose those that contain alpha hydroxyl acids, salicylic acid or benzoyl peroxide.